To sing is to pray. It is my way of giving thanks and offering back to life. To the Great Mystery, this magnificent and generous Mother Earth, and to all Earth´s children. I sing the songs I am given from the wind, the trees and rocks when I walk alone in Nature. I sing them as a healing tool to connect us back to our True Nature. Lua's music and voice is well known and loved within Movement Medicine. 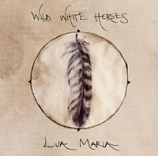 Her song "Wild White Horses" is an anthem of hope and love in these challenging times that has our dance floors rising in love and gratitude at the end of many ceremonies. 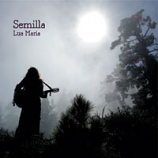 Semilla is her new album of 6 tracks, made before and after the birth of her daughter, which takes the listener/dancer though many journeys and realms of wonder, prayer and connection. Enjoy! Will be available from the 20th November 2016. Feel free to pre-order now and we will send you the CD as soon as we have it. This CD is all about the flute; Lua Maria's Native American style flute weaving together with Adrian's shakuhachi in each piece. 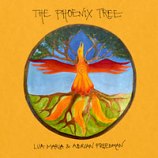 The album pulses between songs (Lua Maria's Oak Tree, Rivers Run Red, Aguilita and Adrian's Lotus Flower) and still, beautiful flute dialogues. I can already feel that some of these tracks are going to become old friends you're going to hear on our dance floors.